Design on the Move » New windows! Ever since we moved into this house, my mother has been extremely concerned about the window situation. 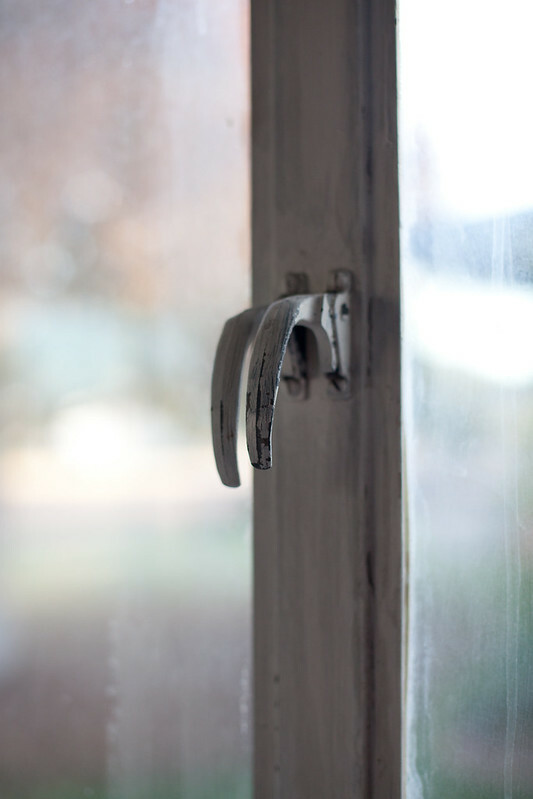 The existing windows in the house were original steel casement single pane glass windows that while historically accurate, were leaky and even a safety hazard as some of them wouldn’t even open (that’s what we call a “code violation”). This photo above is one of the old ones in our office. 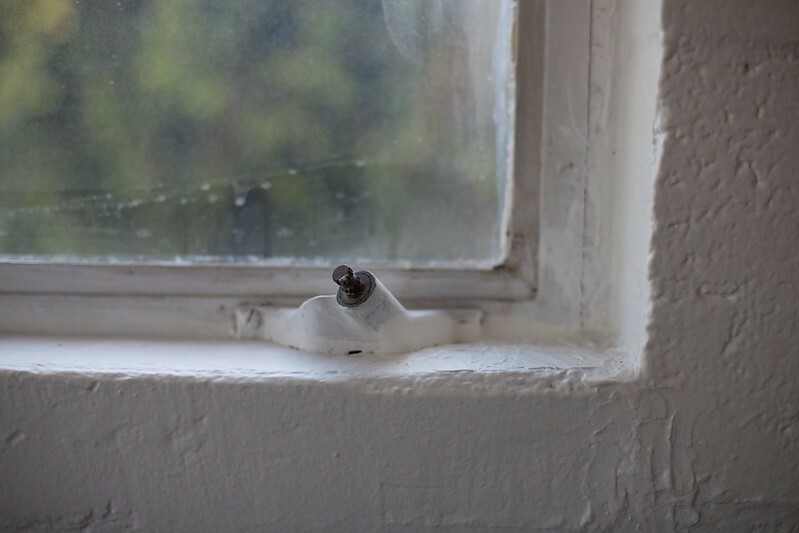 Most of the cranks were broken off, so even with the windows that weren’t caulked shut (why? ), you could open them by pushing them out, but couldn’t close them without one person on the outside to push and hold them closed, and one person on the inside to lock them in place. None of them had screens, so in practice, they just never got opened. I think it was the combination of the energy inefficiency and the lack of being able to sleep with the window open that so bothered my mom, but she’d ask about them frequently. Since windows are kind of an investment (especially in this house, where we have 11 of them), so we’ve been remedying this over time. Mom should be thrilled! We first replaced the windows in the house’s common area (remember our large storefront glass at the front door?) where we had to do most of the initial significant construction. It was a must while we had all the walls open and the house was being re-drywalled. However, we left all the other windows (in the four bedrooms and laundry room) as is since there was no immediate need to tear them out. Now, a year later, we’re replacing what’s left in a couple stages. 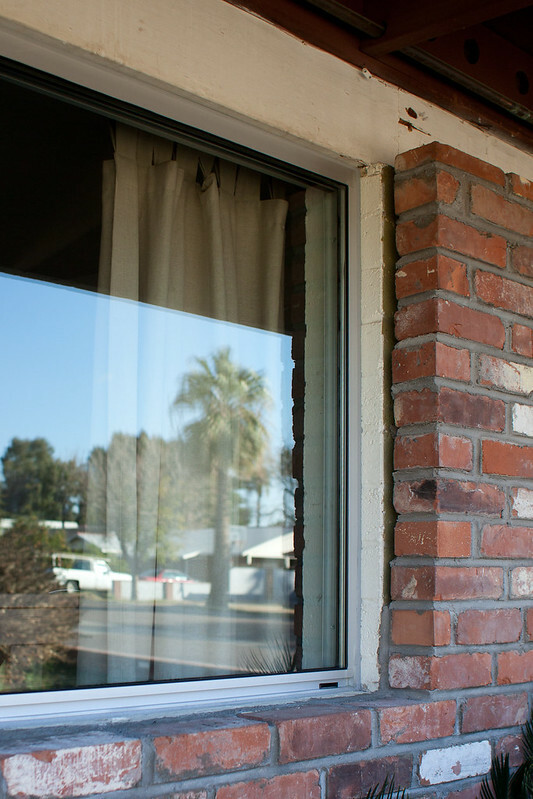 We wanted the front of the house to look uniform, so stage one included replacing those windows with new ones that match the big storefront glass. They have the same mill (aluminum) finish and double paned low-e glass. Oh, and they slide wonderfully! With screens! Crazy. For the other windows that aren’t seen from the front of the house (nursery, our bedroom), we went with the less expensive white vinyl windows from Pella (same as we put in the living room). We have those but haven’t had a chance to put them in yet. 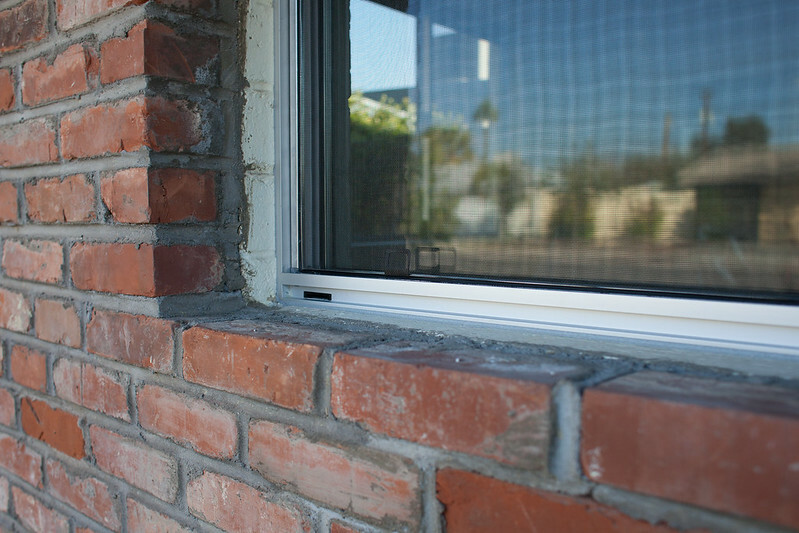 When the front windows were installed by the glass company, they had to saw the old ones out. 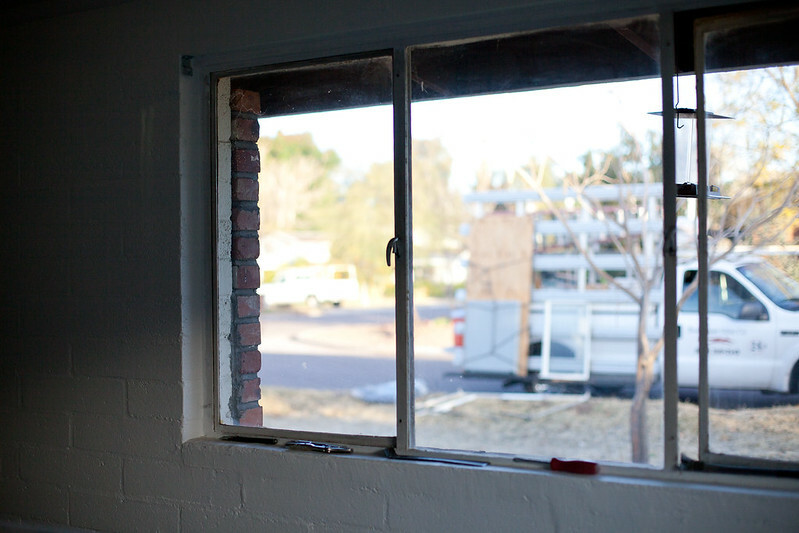 Normally we’d be fine to install the other windows ourselves but… we’ll see how that goes. 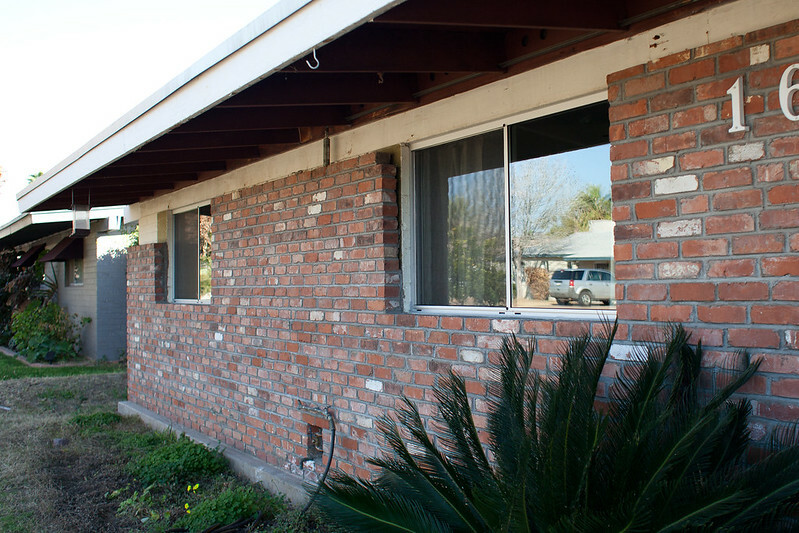 Eventually when we get to fixing up the exterior of the house (probably years from now, if we’re being honest), we’d like to face the inside of the brick and block at these windows with plate steel, to make it sleeker and more uniform. Big dreams! Sleek new windows from the inside! I just need to do a quick paint touch-up since the new windows have a narrower frame than the old, and then we can push all the furniture back. That reminds me, I should show you the office once we put it back together! Pretty soon I’ll have to replace that photo in the header, the whole front of the house looks a lot nicer these days. One step at a time. © 2019 Angela and Kyle Larkin. This work is licensed under a Creative Commons License.